Historic District Commission (HDC) member Grayson Braun spoke about the proposed home development at 20 Morningside Drive South at the HDC meeting on Dec. 12 in Westport Town Hall. WESTPORT — As a teenager growing up on Long Island in the 1980s, Grayson Braun was obsessed with postmodern, brightly colored, and plastic laminate furniture, but grew up surrounded by prefab, cookie-cutter homes — both a far cry from Westport’s Colonial Revival architecture she would one day fight to preserve. Built between 1947 and 1951, Levittown, N.Y., was a landmark in the development of homogenous suburban housing, the first planned housing development in the United States. “It was supposed to be like ‘The Jetsons,’ ” Braun said of the Levittown houses, which contained state-of-the art prefabricated stainless steel kitchens that were dropped into the homes at the time the development was built. “It served a purpose — returning GIs needed houses and they were able to buy these really cheap,” Braun said. By the time Braun was a kid growing up in Levittown in the 1970s, however, the development was less desirable, with thin walls and asbestos shingles. After studying political science at Hofstra University, Braun left Long Island and began work for an architectural products manufacturer. In the mid-1990s she and her husband, Jamie Walsh, a former general contractor, lived on the Upper West Side of Manhattan, but their building’s majority shareholder didn’t maintain the building, so the couple decided to move. Walsh’s friend, Joe Grotto, born and raised in Westport, invited the pair to his hometown, which Braun and Walsh loved. Low and behold, in 1997 Grotto called Braun and said his friends were selling the house — 3 Gorham Ave. — and wanted to sell it quickly. Within a week of placing an offer on the Colonial Revival home, circa 1930, Walsh and Braun’s offer was accepted. “It was the height of the McMansion boom and they were tearing down stuff all over Westport. I don’t know if they were calling it the tear-down capital of the U.S., but maybe they were,” Braun said. 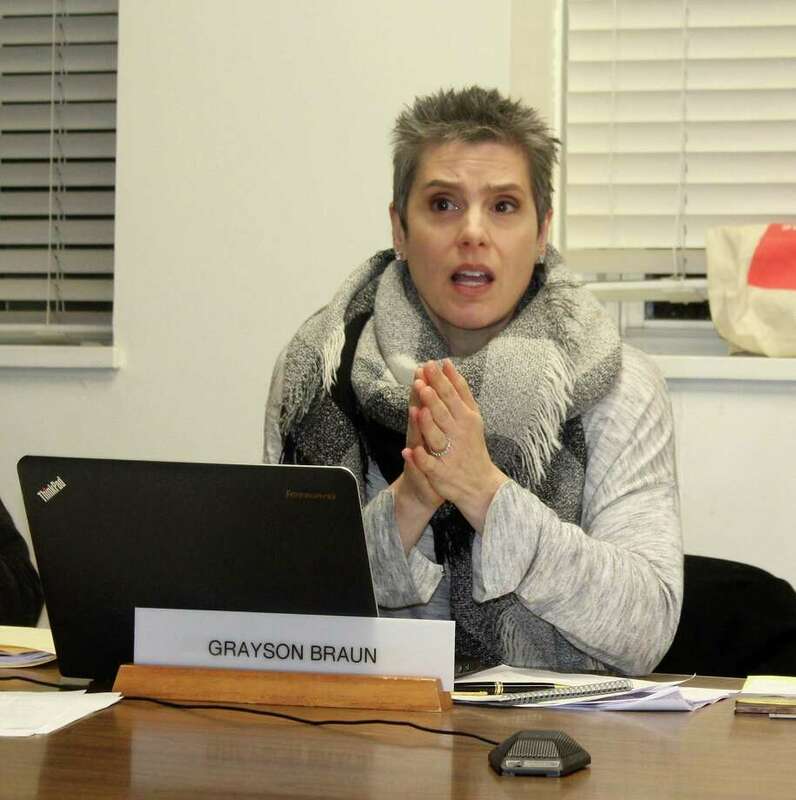 On Gorham Avenue, Braun said developers bought homes vacated by elderly people, tore them down, and built massive houses, which concerned Bruan and inspired her to organize neighborhood meetings aimed at preservation. Braun had no previous experience with historic preservation so she called up advocates she’d seen mentioned in articles describing past town preservation battles, who encouraged Braun and her neighbors to seek historic designation for their neighborhood, which would put in place size and design restrictions in the district and require building changes to get approval from town’s Historic District Commission (HDC). At the same time Braun and her neighbors were seeking historic designation, a developer proposed an affordable housing complex in Braun’s neighborhood. The town rejected the affordable housing proposal on the grounds of historic preservation and the developers sued. Because of her activism in the neighborhood, Braun became involved in the legal challenge, not as a plaintiff or defendant, but as an intervenor, able to join the ongoing litigation. Fast forward two years to 2008, and the legal challenge ended in a negotiated settlement that allowed the developer to build five single-family homes on his amalgamation of properties on Gorham Avenue and Main Street, a result Braun said she was fine with. Braun resists the accusation she is against affordable housing and in fact, she, her husband, and John McCarthy, one of her neighbors, put together a proposal for a town affordable housing plan that proposed small cottages, though they never came to fruition. “What happens in a lot of places, they freak out, they fight it. And it’s not because they don’t want people who can’t afford to live there. It’s because they don’t want density and they don’t want towers and dumpsters and that was what we were fighting,” Braun said. Once the legal challenge ended, Braun eagerly joined the Historic District Commission and stayed until 2014, when the demands of her job at Abet Laminati — an Italian manufacturer of decorative laminate — became unmanageable coupled with her work on the commission. Things calmed down at work and Braun rejoined the commission last spring. She came back in full force, encouraging all applicants to use period-appropriate, sustainable, and durable building materials. Over the course of the last several months, she was instrumental in the commission’s decision to reject a proposal for a new house on a historic property in Greens Farms. Just last week, the developers filed to sue the town over the decision. “It saddens me that it is open season on the historic districts because one of the things you do when you create a historic district is you are looking for that sameness, the assurance that what you have is going to be preserved. Not for five years, not for 10 years, but into perpetuity,” Braun said. In addition to historic preservation, Braun said she participates in public service to “represent her gender” and more, because she believes her generation, Generation X, has not stepped up to the plate. Most of the those who participate in town government are, “overwhelming male, overwhelming white, and overwhelmingly baby boomer,” and a new stream of millennials are now getting involved, Braun said. Her generation, on the other hand, has stepped forward. Braun, however, has worked — and is continuing — to counter the stereotype of the lazy Gen Xer.